On Monday the 26th of February, Mandy, our e-learning specialist, came in to Koru 1 to teach us a little about coding and introduce us to an app called Tynker. The reason we are learning about coding is that people say that in the future, people will need these skills to perform some of the jobs that may exist. Firstly, we had a discussion about what we knew about coding. Then Mandy explained to us some important words to do with coding. These were algorithms, sequences, commands, bugs, debugging and programming. Next, Mandy asked for a volunteer to be a robot to show how programming works. Jonty was chosen. Our task was to programme him to get to the door at the back of our classroom. We gave the commands, Willow W wrote them on the whiteboard, and Jonty followed our commands to reach the door. After that activity, Mandy introduced us to an app called Tynker. We logged in using our Google accounts and she explained how to use Blockly coding to complete the challenges and go up the levels from Space Cadet to Dragon Spells. It was interesting to see how Mr K can see how we are doing from his laptop. We found this session really interesting and our class learned a lot about coding and what is involved. It was awesome to see everybody engaged and enjoying what they were doing. We look forward to learning more about coding this year. 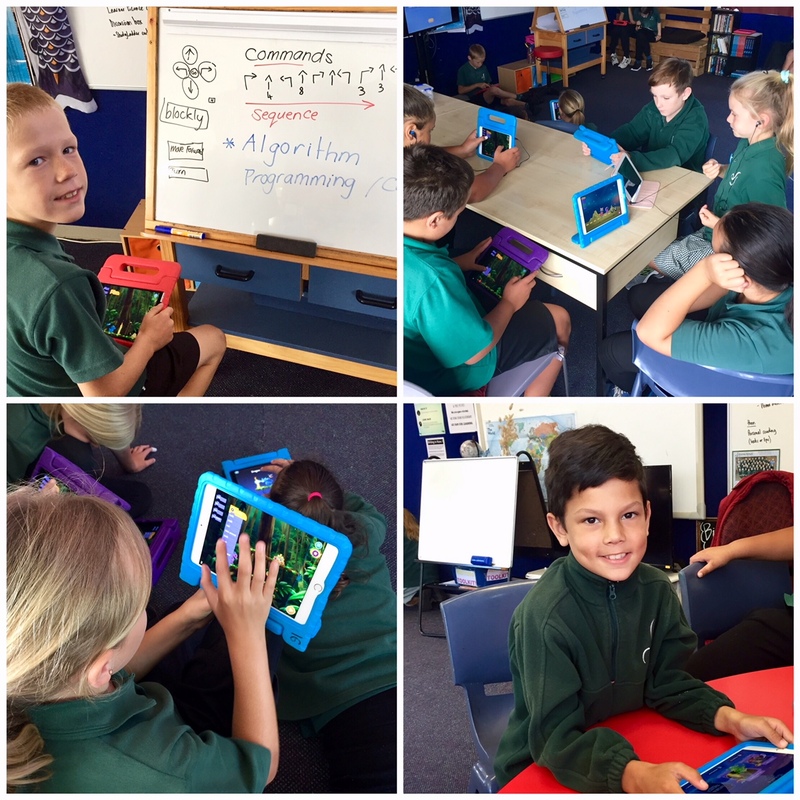 Also, our DT Tuakana group is starting up a lunchtime coding club beginning this Thursday! This post was a shared writing piece from Mr K's literacy groups.